Particluate filters are used for the removal of solid particle contaminants down to 5 microns and the separation of bulk liquids. This type of filter is generally used in industrial applications where liquid water and oil, and harmful dirt particles must be removed from the compressed air system. 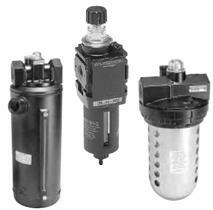 This type of filter should also be used as a prefilter for the Coalescing (oil removal) filter. Coalescing filters are specifically designed for the removal of solid particles, water and oil aerosols down to 0.01 micron. Protection of components such as air valves, cylinders, as well as air conveyors, air gaging, air bearings, air control circuits and paint spraying equipment are examples of specific end-use applications. Used to provide a convenient and low cost method to reduce a supplied air pressure to a desired outlet pressure and transform a fluctuating air supply to a relatively constant reduced air pressure within the operating range of the regulator. 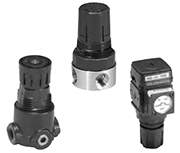 A regulator is generally used in a wide variety of applications where reduced pressure is highly desirable for energy conservation, safety requirements, air circuit control and air instrumentation. 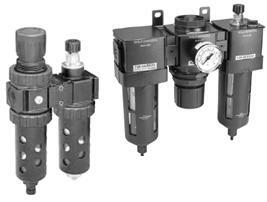 Precision regulators are for use in applications that require reliable performance and accurate pressure control. Precision regulators are generally used for material handling systems, flow and temperature controllers, critical air control circuits, medical and scientific test equipment, and valve positioners. 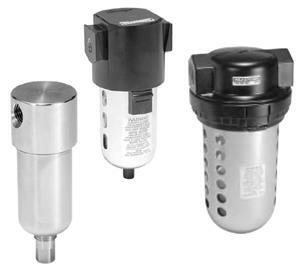 Lubricators inject an oil aerosol into the flowing air stream to automatically provide the proper amount of internal lubrication to air operated tools or other pneumatic devices. 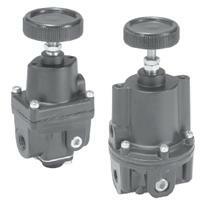 Combination Units are available in port sizes from 1/8 inch to 1 inch with flow rates from 40 to 374 scfm. These units offer flexibility and space savings and may include a variety of components including; particulate and coalescing filters and filter/regulator combinations, regulators and lubricators. 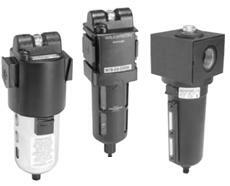 Clayton Controls is a Wilkerson distributor in California. We offer technical support to help our customers solve their applications.